Fabrice Demarigny, a French attorney, PhD in Political Sciences, is a graduate in Law and Economics. Fabrice worked for eleven years in the French Securities Market Authority (AMF) where he was member of the Steering Committee of the College of Supervisors of Euronext and one of the drafters of the IOSCO Principles of Securities Regulation. In 2002, he has been appointed the Secretary General of the Committee of European Securities Regulators (CESR – today ESMA). During his tenure, he contributed to the adoption of all EU Directives and Regulations regarding Markets of financial instruments (Mifid), Prospectuses, Transparency obligations of listed companies, Takeover bids, Market Abuse and UCITS. In 2008, Fabrice became a member of Mazars’ international partnership and a Partner of Marcan (the Law Firm member of Mazars in France). He is currently the Managing Partner of Marcan and the Global Head of Financial Advisory Services and Capital Markets of Mazars’ group. At the request of the French Minister of Finance, he published a report for an “EU listing Small Business Act” (2010 - Mme Christine Lagarde) and “25 Investing and Financing Recommendations for the forthcoming Capital Markets Union” (2015 - Mr Michel Sapin). 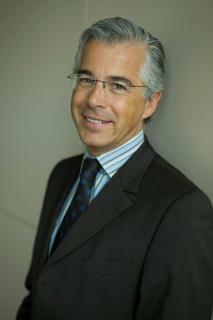 In 2012/13, he chaired the Strategic Committee for Small and Midcaps of Euronext that lead to the creation of Enternext. Fabrice is currently Chairman of Securities Lawyers Association (ADB) and Chairman of the European Capital Markets Institute (ECMI) as well as member of the Steering Committee of Paris-Europlace. He is knight of the French National Merit Order.